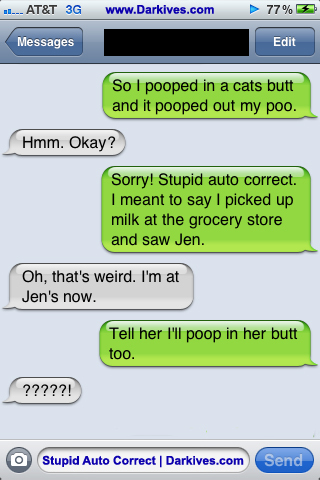 We’ve all slipped up and sent a text or email in which the “auto correct” feature changed the word. Well I’ve taken it a step further and decided to text message vulgare things to my friends and family then blame it on the Stupid Auto Correct. HAHA! I love the confused/disturbed responses.